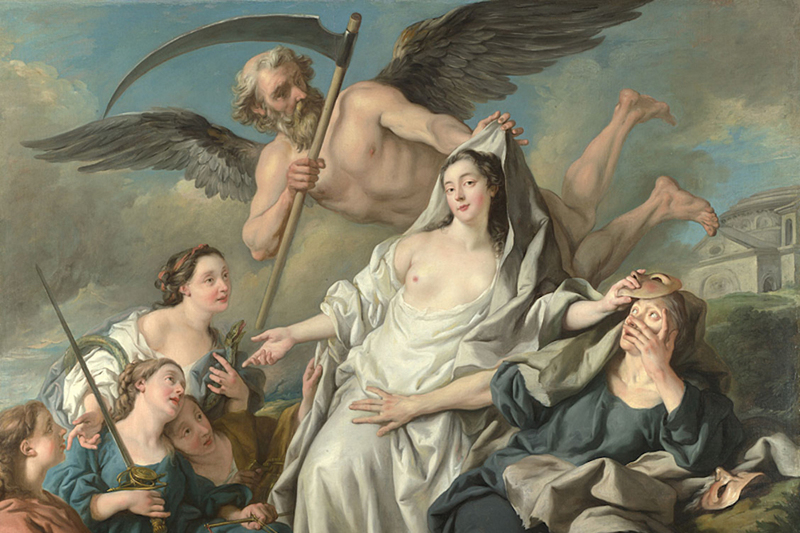 Time Unveiling Truth (1733) by Jean-François Detroy. Courtesy of the National Gallery, London. Parking is $10 per car or motorcycle after 3:00 PM. More information here. Today, Americans wring their hands about the systematic lying in politics, and media claim to be fighting to uphold the principles of truth and the existence of verifiable facts against unprecedented challenges. But the very idea that ‘fake news’ is a new problem is itself ‘fake news.’ Way back in 1710, Gulliver’s Travels author Jonathan Swift wrote, “Falsehood flies, and the truth comes limping after it.” And lies, slander, and libel were central features of politics, public discourse, and other human enterprises long before Swift. How did previous generations deal with the prevalence and power of falsehoods? How has art, by embodying a different kind of truth, served as both a party to and a shield against lies? And does misinformation pose a bigger problem now because of the speed at which it can spread digitally? New York Times film critic A.O. Scott, Boston University philosopher and author of Post-Truth Lee McIntyre, and Jennifer Kavanagh, RAND Corporation political scientist and co-author of Truth Decay, visit Zócalo to explore humanity’s longstanding devotion to lies and whether we’ll ever develop a healthier respect for the truth.